Jagannath Maharaj, popularly known as Achchan Maharaj was the eldest among the three sons of Kalika Prasad, the other two being Luchchu Mahaiaj and Shambhu Maharaj. Really speaking, he was the only brother, who received knowledge direct from his father as well as from his uncle Bindadin. When Bindadin and Kalika Prasad died, Achchan took up the responsibility of training his two brothers, Luchchu Maharaj and Shambhu Maharaj. He (Achchan) was a court dancer of several states of North India, and served for a long time at Raigarh. Though being bulky, he was very agile with his nimble footwork, and was a master of gracefully and beautifully expressing the various sentiments. He was an expert of both Nritta and Bhava. With his death on 20th May 1960 the Lucknow Gharana truly lost its foremost representative. He was survived by his son, Birju Mabaraj, a chip of the old block. Bindadin Maharaj was born in 1830. He was the originator of his Gharana, popularly and widely known as Lucknow Gharana. He together with his brother Kalika Prasad, brought a renaissance in Kathak and raised it to a high level of polished and extremely stylized dance. He was born in Handia Tehsil in Allahabad district where his father Durga Prasad used to live. Durga Prasad had three sons Bindadin and Kalika Prasad were own brothers. Bindadin had no children, whereas Kalika Prasad had three sons – Achchan Maharaj, Luchchu Maharaj and Shambhu Mahaiaj. Bindadin gave the utmost training to his nephew Achchan Maharaj. Bindadin, in his own turn, was trained by his father and uncle Thakur Prasad. He started taking lessons in dancing from the age of nine and practiced only “Tig Da Dig Dig” for three years, regularly practicing for twelve a day. It is said that once as a mere boy he had discussions regarding Tala, with the Pakhawaj wizard Kudau Singh in the court of Nawab Wajid Ali Shah. Thakur Prasad was an employee at that time at the court. He was very much perturbed on the behavior of Bindadin and was afraid of any kind of humiliation in the court. On one side there was 12 year old Bindadin and on the other the Pakhawaj-king Kudau Singh praying to God. Thakur Prasad asked Bindadin to stand up for his performance.. Everyone was surprised to witness the dexterity of Bindadin and acknowledged that Bindadin was much more in form than Kudau Singh. Nawab Sahab was so pleased that he presented Bindadin with enormous wealth. On attaining maturity Bindadin Maharaj became very famous for his art and also earned an appreciable amount of money. He was also an expert in singing and composing Thumri, and the reputed Thumri singers of those days, Gauhai Jaan, Zohra Bai and others, were his disciples. It is said that he composed about 1500 new types of Thumri. He was a man of character and used to lead a simple life. Due to the First War of Independence he went out of Lucknow for some time with Thakur Prasad. Thereafter he went to Nepal and from there to Bhopal and was warmly welcomed at both the places. He was not only acclaimed as a great dancer at these places, but also received a large amount of riches as gifts. He was a devotee of Lord Krishna. His portrait shows that at the time of dancing he used to put on Achkan, Churidar and Dupalli cap. He died in 1918. Brijmohan Maharaj, popularly and affectionately called Birju Maharaj, the doyen of Kathak dance, is the son of Achchan Maharaj. He was trained in his early life by his father, but lost him at the age of only ten. Thereafter be received training from his two uncles, viz , Luchchu Maharaj and Shambhu Maharaj. Birju is the worthy son of the worthy father. He gave his first public performance at Dehra Dun at the age of seven, and was highly acclaimed by the dance-connoisseurs. He is not only an accomplished dancer of the first order and brought a revolution in Kathak by composing new types of Tukras, Parana, ballets and other compositions, and bringing novelty in presentation, but also an expert Thumii singer, a Pakhawaj, Tabla and Nus player. He had settled down at New Delhi. He accepted a job as a dance teacher at Sangit Bharati at New Delhi. He composed ballets, like Phag Lila, Kumar Samabhavam, Govardhan Lila, Malati Madhav, Shan-E-Awadh etc with his uncle, which were highly appreciated by the public. He is a master of both Nritya and Nritta, and is quite adept in practically demonstrating them. He had traveled extensively and has presented his art with great success, Any music conference of all-India level seems lonely without the talented Birju Maharaj. At present he is a teacher at the Kathak Kendra of New Delhi. He is now the torch-bearer of the Kalika-Bindadin Gharana. He is very social and simple in habits. He holds the view that Kathak dance has deep-rooted relationship with human life and there are individual and special characteristic features of Bhava, Gat, Laya, Tala, and Ahhinaya in this art. Accordingly, he endeavors to make a harmonical synchronization of them. He composed the music and also lend his voice for two dance sequences in the film ‘Shatranj Ke Khiladi’, directed by Satyajit Ray. He also gave music in the films such as Devdas (2002), Gadar (2001), and Dil To Pagal Hai (1997). This accomplished dancer, singer,musician won many awards including Padma Vibhushan (1986), Sangeet Natak Akademi award, Kalidas Samman and the Lata Mangeshkar Puraskar in 2002. This torchbearer of Lucknow Gharana has been conferred the honorary Doctorate degrees by the Banaras Hindu University and the Khairagarh University. Chiranji Lal was the second son of Hanuman Prasad of Jaipur. 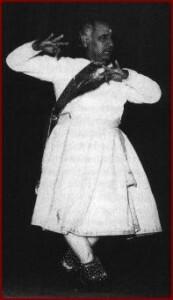 He was trained in the technique of Kathak of Jaipur Ghaiana by his father at Jaipur and later on by Bindadin Mahaiaj at Lucknow. He worked for some time in the states of Udaipur and Raigarh, and stayed for long at Delhi teaching Kathak at the Gandharva Mahavidyalaya. On the death of his younger brother he began to give training in Kathak to the four sons of his brother. Where art rises above skill and virtuosity, the name of Damayanti Joshi, a leading exponent of Kathak occurs to the lovers of Indian dance. She was born in 1932 at Mumbai and started dancing very early in life. As child she was trained in Kathak. She has danced in China, Japan, Sudan, Egypt, Syria, Iran, Turkey, Greece, and for the United Nations troops at Gaza. She has been to GDR, Poland and Russia, Nepal and the above mentioned countries as a member of the Govt of India’s Cultural Delegation. Apart from all this, she had undertaken a highly successful tour of UK, France, Germany, Austria, Hungary and the continent of Europe. In 1969 she had been to Afghanistan as a member of the Prime Minister’s Delegation and in the same year had performed at the Gandhi Darshan Exhibition at Delhi. She was the only dancer from Bombay to perform at UNCTAD II. She has performed for the visiting dignitaries, such as the Presidents of Russia, Philippines, Indonesia, Poland, Mexico, Laos, China, Yugoslavia to name a few and at international conferences and festivals like the I.L.O., Parliamentary Delegation, Ambassadors, World Agricultural Festival, International Medical, Bankers Conference and many others. She has also given commendable performances before their Majesties of Afghanistan, Nepal, Bhutan, Spain etc. She started her dancing career in All-India Music Conferences. She made mark for her Tala aspect, and also in Nritya, and was acknowledged as the best exhibitor of the Ashta Nayikas, which came to be known as a solo ballet. She studied and choreographed the sculptures at Khajuraho for her solo ballet on the SURASUNDARI in Kathak technique. She also choreographed Dhrupad, Khayal, Thumris, Trivat, Taraua and Chaturang in Kathak, and was the first Kathak dancer to do it. At a tender age Damayanti travelled along with Menaka all over India, South East Asian countries, including Burma, Malaya, Singapore etc. throughout undivided India, Sri Lanka etc. She had her early training from Sita Ram Prasad and later from Achchan Maharaj, Luchchu Maharaj and Shambhu Maharaj. In Jaipur Gharana she had training from Hira Lal. Besides Kathak she has also learnt the other three classical schools, viz, Bharat Natyam, Kathakali and Manipuri from the respective stalwarts, and performed them at many places. Her honors among many, include Sangeet Natak Akademi, New Delhi’s Award for Kathak (1968), Padmashree (1970), titles such as Nritya Bhushan, Nritya Sharada, Nritya Vilas etc. Photo and account in Encyclopedia Brittanica (Latest Edition). She is mainly featured in the documentary on Kathak in 1973 by film division, Govt of India and another film entitled Damayanti Joshi in 1974. In the early morning hours of Sunday, September 19, 2004, Damayanti Joshi, breathed her last. Gopi Krishna today is one of the most outstanding exponents of the Banaras Gharana of Kathak. His performances are marked by individualistic interpretation, showmanship uncanny tempo and imaginative temperament. Born at Calcutta, on August 22, 1934, Gopi Krishna was brought up by his maternal grandfather, the late Pandit Sukndev Maharaj, who was a noted maestro of the particular Banaras Gharana of Kathak style of dance. Gopi was the son of Tara, a noted singer and eldest daughter of Sukhdev Maharaj. He had his early schooling in Bombay. Gopi Krishna also learnt Bharat Natyam from Guru Mahalingam Pillai and Govind Raj Pillai from the school of Sri Raj Rajeshwari Bharat Natya Kala Mandir. His main interest is in the use of classical dancing in Indian films. His first film success came with “Jhanak Jhanak Payal Baje”, a full length film by V. Shantaram. Gopi Krishna was only 17 then, but his role in the celebrated film gave to classical dancing a new status and new dimension. The film was a landmark in the history of India’s dancing and cinema, for it showed how classical dancing when properly used by film makers, would yield rich dividends. The film brought him fame all over the country. At 32, was the recipient of many distinctions and honors. He was awarded the titles of Natraj at the age of 15 at All-Bengal Music Conference, and in 1966 the Prayag Sangit Samiti Allahabad, honored him with the distinction of Nritya Samra. He toured East Africa and Western countries. He has been directing dances for the films, besides his own performances in them. His dance direction carries a unique, individualistic touch. Equally significant is his contribution in the field of choreography. He has composed a number of solo dance ballets. He is first to divide the continuous Kathak style repertoire into distinctive items, which practice is now followed by other exponents of Kathak. He gives a brilliant demonstration of the same rhythm in three percussion instruments, namely, Tabla, Pakhawaj and Chanda. Hazari Lal of Bikaner, was a famous dancer of Jaipur Gharana. His father, Hanumantram, was a reputed Sarangi player, and his brother, Satya Narian, was a renowned Tabla player. Hazaii Lal received his training from both of them, viz , his father and brother, and thereafter became the disciple of Shiv Lal, a great exponent of Jaipur Gharana of Kathak. He also had intensive training from Sundar Prasad, and earned fame within a short period of time. As a result, he was invited to perform at the royal Darbars of many states including Raigarh, Gridhar and Puruna. He was a teacher for three years at Bhathkhande Sangit Vidyapith, Lucknow and also a chief Kathak dance teacher at Meerut Sangeet Samaj College. Resident of Bikaner State, Jagannath Prasad received his training in Kathak dance for a long time from Chunni Lal and Gopal of Janki Prasad Gharana and also for some time from Nathu Lal of Gwalior Darbar. Jaganath Prasad spent a long time at Benaras, and was also in the courts of Nepal and Indore. He was a very religious man and his expositions brilliantly expressed the devotional aspect towards Lord Krishna. He composed a number of Kavitas and certain Angas of dancing. He died in 1946 at the age of 64. His son Radha Krishna is a dance teacher at Pilani Birla College. Jai Kunwari was the daughter of Jai Jai, the pillar of Jaipur Gharana. She was trained in the art by her father, and for a number of years she was second to none in the field of Kathak. Her forte was pure Nritta, and she was extremely proficient in Laya-kari. She was acclaimed everywhere she performed, specially in the music conferences of the country. The death of her father was a great shock to her and since then she gradually left the dance field. For a few years she was in the staff of the Beni Vidya Bithi, Calcutta as a dance-teacher. She died in 1973. Jai Lal Misra (1885-1949), the doyen of Jaipur Gharana, was first appointed as court dancer of Jaipur state, followed by Jodhpur, Ramgarh, Sikri and Maihar. He was for some time in the court of Nepal as well. He stayed at Raigarh for about eight years, and taught Kartik and Kalyan. Besides a talented expert of Kathak dance, he was also proficient musician and an acknowledged, experienced and qualified Tabla and Pakhawaj player, He got his training from his father Chuni Lal and uncle Durga Prasad. He spent the last three years of his life as a Kathak dance and teacher teacher at Calcutta in Bani Vidya Bithi. His son Ram Gopal stepped into his shoes after his death in the same school and turned out many promising pupils. Ram Gopal died in 1979. Tai Lal’s daughter Jai Kunwari also became famous as a Kathak dancer of Jaipur Gharana. Ram Gopal and Jai Kunwari were from different mothers. Jhande Khan, being the son of the famous vocalist Naththu Khan, was brought up in the musical atmosphere from his childhood. After eighteen years of strenuous training in vocal music, he was appointed as a court musician at Rampur, at the age of 23. At that time Hamid AH Khan was the Nawab of Rampur. At that time Bindadin and Kalika Prasad came to the Rampur Darbar and gave their performance. The entire Darbar was spell bound on witnessing their performance. These two brothers also attracted the young vocalist of about 30 by his superb performance. 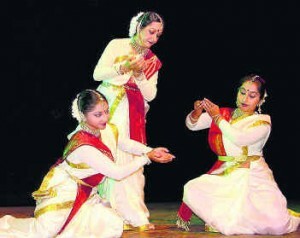 Jhande Khan bacame their disciple and learnt from them for eleven years the art of Kathak dance. In this way, he became well versed both in vocal music and Kathak dance. He was also appointed court dancer of Nepal, in the court of Rana Birchandra Shamsher and remained there for about six years. There he was highly honored and his services were regarded commendable by the Rana. The Kathak maestro Achchan Maharaj’s father and guru Kalika Prasad was a resident of Banaras. While his brother Bindadin was a court dancer of Nawab Wajid Ali Shah, Kalika Prasad preferred to reside at Benaras and propagate the Kathak style of dancing and Thumri singing of his Gharana from that place. Both these brothers were responsible for promoting Kathak to a high pedestal of art and aesthetic. Besides dancing Kalika Prasad was an expert singer, especially he had profound knowledge of Thumri. He was an expert in Abhinaya – expressing the emotions in the Thumri songs, and in exhibiting the tenderness and Shringara Rasa. Many famous female Thumri singers of that time were his disciples. Kalika Prasad was a simple and social individual and was never proud of his achievements. He had a life of austerity. He had three sons – Achchan Maharaj, Baijnath Prasad (Luchchu Maharaj) and Shambhu Maharaj. These two dancers cannot be separated and their lives should be studied jointly. They were brought up and encouraged by the Raja of Raigrah, who made arrangements for teaching them music, and went so far as to appoint the two Kathak dance wizards, Achchan Maharaj and Jai Lal to train them up in dancing. When the Raja was living, these two dancers were in great form and there were very few dancers, even among the hereditary professionals, who could compete with them, at least in Tayyari. 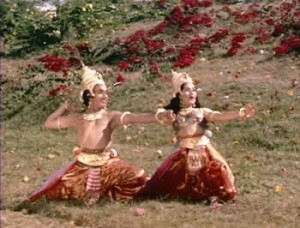 Both of them virtually retired from the field of dancing after the death of their patron – the Raja. They are still living in Raigarh. Krishan Kumar is the foremost representative of Janki Das Gharana. He is the son of Pt, Gopal and nephew of Hanuman Prasad, both outstanding dancers of their school. He was trained by Hanuman Prasad and Ashiq Hussain. He opened a school at Bareilly in 1947, and in addition to his duties and responsibilities as a teacher, he toured several parts of India giving performances of Kathak. In 1958 he came to Delhi to work in the ballet Maloti Madhav, produced by Bharatiya Kala Kendra. Here he came in contact with Shambhu Maharaj and started taking training from him of Lucknow Gharana. Accordingly, Krishan Kumar received a scholarship for the purpose from the Ministry of Culture. He is very amiable in nature and has occupied a stable position among the accomplished dancers of the present day. Kudan Lal, an exponent of the Jaipur Gharana of Kathak was trained by his uncle, the noted representative of the same Gharana of Narayan Prasad. Kundan Lal accompanied Narain Prasad at Raigarh. After this he toured Bihar and Madhya Pradesh for five years, and gave performances wherever he went. Thereafter he remained at Bombay for 15 years and use to teach dancing there. He had film artistes also as his disciples among whom special mention should be made of Paro, Swarnalata and Javeen. He was the Kathak instructor in the Dance Department of Baroda University from 1923. Baijnath Prasad, affectionately called Luchchu, as he was very naughty in his boyhood, was the second son of Kalika Prasad. In his early days he was trained by his father and on his death by his elder brother Achchan Maharaj. He started giving public performances from ten years of age and continued to do so till he was about 60. He preferred to stay at Bombay, where he lived for a long time and started his school of dancing by the name of “Nutan Nritya Niketan”. He composed a number of ballets in Kathak technique. A few ballets he composed for Menaka. He trained his daughter Kaushalya, among others, who became famous as a dancer at one time. He won the Sangeet Natak Akademy, New Delhi award for Kathak dance in 1957. Luchchu Maharaj also earned fame as a cinema-dance and music director in the film world. He worked in the same capacity, among others, in Mahal, Kale Badal, Tamasha, Ghar Ki Laaj and Shikwa, Some of his dance compositions, such as Bharaliya Kisan, Gandhi Ki Amar Kahani, Madya Nishedh etc., became very popular. Besides Kathak he had fair knowledge of other dance styles as well. Maya Rao is the only female dancer from South India who has mastered Kathak of both the Gharanas of Lucknow and Jaipur, being the chief disciple of Shambhu Maharaj and Sundar Piasad. She belongs to Bangalore and had her early training from Sohan Lal of Jaipur, who was then at Bangalore. While still a student in 1946, she started a school of dancing and became the founder-director of the Natya Sarswathi Art Centre at Bangalore, and this was probably the first institution of South India to provide intensive training in Kathak. After qualifying for the honors degree in Literature, Maya Rao went to Jaipur and for two years received training in Kathak from the best teachers available there. Soon after she was awarded a Government of India Cultural Scholarship in Kathak, and began her further training under Shambhu Maharaj at New Delhi. Shambhu Mahaiaj found in her very diligent and promising pupil, and he had on more than one occasion admitted that he had trained her to an extent to which he had not trained any other pupil in his whole career. 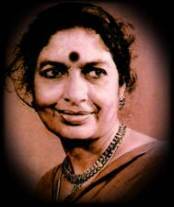 Maya Rao also has rare distinction of having danced duets with her Guru, Shambhu Maharaj. She was Director-in charge of the preparatory Dance Section of the Bharatiya Kala Kendra, New Delhi, and carried out certain researches both in Kathak and ballet. She was the Government of India’s nominee for the award of Soviet scholarship of choreography. She is the first Indian with Post-Graduate Certificate in choreography of the State Institute of Theatre Arts, Moscow. She has had over twenty years of experience as a dance, choreographer and teacher. She has over fifty ballets to her credit presented to appreciative audiences all over India and abroad. She has the unique distinction of being the chief consultant for the choreography of the famous ballet Shakuntala and Drama Ramayan, and has trained several young aspirants in the art from India and abroad. She is the Founder-Director of the Natya Institute of Choreography, New Delhi, established in 1964 with the help of the Government of India. Proficient in classical and folk-dance traditions of India and Shri Lanka, she had used these in the choreography of her ballets. Mohan Lal was the son of Hanuman Prasad of Jaipur and was the eldest among the three brothers, the other two being Chiranji Lal and Narayan Prasad. He learnt the Jaipur technique from his father and went to Lucknow. He was a disciple of Bindadin Maharaj for some time. Thereafter he went on giving demonstrations at many places in the country, including Baroda, Raigarh, Indore, Gidhnaur etc., and then settled down at Jaipur as the court-dancer. He stayed for sometime at Bombay and then went to Delhi, where he stayed for a considerable length of time giving training to his disciples. From Delhi he again went to Khairagad, and started teaching Kathak at Sangit Vidyalaya. Narayan Prasad was born at Jaipur in 1908 in the famous Gharana of Hari Prasad-Hanuman Prasad. Narayan Prasad’s father was Hanuman Prasad and Hari Prasad was the elder brother of Hanuman Prasad. Hari Prasad was dance-teacher at the “Gunjan Khana” of Jaipur. Narayan Prasad’s training in Kathak dance began at the age of eight from his said uncle and father and from the age of twelve he started appearing before the public as a boy-dancer and a prodigy. Narayan Prasad’s two elder brothers, Mohan Lal and Chiranji Lal, were then engaged as teachers of Pakhawaj and singing of dance. Narayan Prasad became famous in a short time after successfully demonstrating his art in many music conferences. He was adept in “Shringar”, and was honoured with the title of “Nrityatharya.” by Gandharva Mahavidyalaya at Belgaum on 8th December 1958. He had about seven hundred students of caliber, many of whom earned wide reputation. After teaching for twelve years at Delhi he died there on 12th December 1958. Among his six children, Chand and Swraj are reputed dance-artistes. Rani Karna was born on March 11, 1939 in Hyderabad (Sind, now in West Pakistan). She graduated with Honors in Botany from Delhi University in 1958. 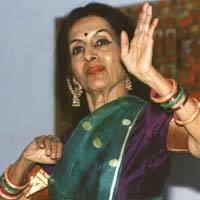 She is a disciple of eminent Gurus, such as Birju Maharaj, Sundar Prasad in Kathak and Kelu Charan Mahapatro in Odissi. She has also studied Russian and Sanskrit. She learnt dance with passion and developed it with an unusual sense of aesthetic adventure. She is known to have considerably developed the dimensions of Kathak. She is Nritya Vhhmad in Kathak from Gandharva Mahavidyalya under the guidance of Narayan Prasad and was the recipient of the Government of India Cultural Scholarship to learn both the Gharanas of Kathak i.e. Jaipur and Lucknow. She had also training in Manipuri and Bharat Natyam. She is the recipient of President’s Gold Medal in Shankar’s Dance Competition at Delhi (1955), first prize in Kathak in inter-University Youth Festival consecutively for three years, “Order of the Queen” from her Majesty the Queen of Laos (1964), and Sangit Varadhi from Bharatya Kala Kendra, New Delhi (1977). She has trained up many students in Kathak and Odissi. She has given dance recitals at numerous places in the country, and her performances abroad, as participant of the Government of India Cultural Delegations include Afghanistan, Pakistan, USSR, East Asian Countries, Sikkim, Nepal, United Kingdom, Italy, Holland, Belgium, Luxemburg, Switzerland and France. Roshan Kumari, the daughter of the noted Tabla and Pakhawaj player Fakir Mohammad and famous play back singer Zohra Jan of Ambala, who was working in the films at Bombay for a long time. In this way, Roshan Kumari was brought up in a musical atmosphere. She had training in Kathak first from K.S. Moray and thereafter from Sundar Prasad. In order to understand the technique of the art of Bharat Natyam and not with an idea of giving Bharat Natyam programmes, she learnt the art from Govindraj Pillai of Bombay and Mahalingam Pilial. She has presented her performances with high approbation at numerous music conferences throughout the country, and has presented her art for important dignitaries, who have, from time to time come to India from various foreign countries. She is also a TV artist. She has also danced in a number of Hindi and Bengali films, including “Jhansi Ki Rani”, “Mirza Galib”, “Waris”, “Basant Bahar” and “Jalsaghar”. Shambhu Maharaj was the youngest of the three famous brothers, the other two being Achchan Maharaj and Luchchu Maharaj, all of whom were the sons of Kalika Prasad and nephews of Bindadin Maharaj. Shambhu received training in his early days from Bindadin and thereafter from his elder brother Achchan Maharaj. Besides concentrating on dancing Shambhu Mahaiaj also learnt classical Hindustani music, especially the Thumri-Anga, which he mastered under the guidance of Rahimuddin Khan, younger brother of the prominent exponent of Thumri of that time Moizuddin Khan. As he was proficient in both dancing and Thumri he could show his merit in Nritya and Nritta with great excellence, and hence occupied a unique position among the top notchers of dancing. He won numerous awards and titles, among them, Nirtya Samrat was bestowed upon him at the music conference at Dehra Dun, Abhinaya Chaktavarti at Madras and Padmashri by the Indian Government. He was also the recipient of the Sangeet Natak Akademi, New Delhi, award. True to the ideals of his Gharana, Shambhu Maharaj excelled in Bhava and revived to a great extent the use of Ashtapadis, and of certain Thumris and Bhajans and other Nritya pieces in Kathak. Among his innumerable disciples, a great number of them feature as prominent Kathak dance exponents of the present day. He endeavored hard to restore Kathak dance as the pure Natwari Nritya in its pristine glory and prestige. He was the Head of the Dance Department of Bharatiya Kala Kendra from 1955. He died suddenly of heart failure on 4th November 1970. Shambhu Maharaj was the father or four children, among whom two died in their childhood, leaving the other two alive viz , a son Krishna Mohan Nath, and a daughter Remeshwari. Shiv Lal was a life long devotee of Kathak of which he was a veteran. He originally hailed from Rajasthan but early in his life, after getting some training from Gurus there, went to Lucknow, where he was enlisted as one of the promising disciples by Bindadin Maharaj. He then served as a dancer in the states of Mysore and Nepal. He was a teacher of Kathak dance for some time at Gandharva Mahavidyalaya, Bombay. He then went back to his native place Sujangarh. Sitara Devi was the daughter of Pt Sukhdev Maharaj, the pioneer of Banaras Gharana of Kathak dance. She was born at Calcutta. Besides her father she started taking training from Achchan Maharaj and thereafter from Shambhu Maharaj when she was twelve. She is also well-versed in other classical forms, viz, Bharat Natyam and Manipuri. She has also earned fame in film world and participated in the dancing roles of a number of movies. She has given dance demonstrations in many foreign countries and for her the westerners took keen interest in Indian dancing. She singly performs the entire Ramayana. Her other two sisters are Alakananda and Tara, Alakananda was also a reputed dancer, but left dancing just after her marriage. Sitaram Prasad was a disciple of Bindadin Maharaj and a contemporary of Achchan Maharaj. He served as a court dancer at Raigarh and also in Nepal. He came to Bombay in the year 1935 and settled there. He trained many artists there, among whom a few film stars also featured including Menaka, Zubeda and Manorama. Sohal Lal was also an exponent of Jaipur Gharana like Jai Lal. He was the pupil of Jail Lal, Sunder Prasad and Devi Lal. Being trained by those stalwarts he became an accomplished artist and imparted dance lessons to a number of disciples at Bombay and Calcutta who earned great reputation. He was also adept in vocal music and Tabla. Among his well known disciples are Bela Arnak, Jharna Saha, Sunalim Den, Lila Desai and Ramdhan (a dance teacher at Ludhiana). Sundar Lal of Sujangarh, Rajasthan, was the son of the famous Tabla player Satya Narain, and received his training from the great masters of Jaipur Gharana, such as Shiv Narain, Jagannath, Sunder Prasad, Hazari Lal, Gauri Shankar and others. His demonstrations were marked by polish, technical efficiency, ease, grace and charm. Besides being an eminent Kathak dancer, he was also an able teacher. He worked as a teacher at Bombay, Meerut and Delhi. He earned a name also as a Tabla player and used to give demonstrations from the All India Radio. He is also a composer and has a number of Kathak Kavita and Toras to his credit. He is working as a dance teacher in the Dance Department of the Baroda University. Sundar Prasad, younger brother of the pillar of Jaipur Gharana Jai Lal, had his early training in Kathak from his father Chuni Lal and his uncle Durga Prasad and thereafter from his brother Jai Lal. In his very boyhood he was taken to Lucknow, where he was trained by Bindadin himself. Thus he was well-versed in both the Gharanas. Accordingly, he synchronized the good elements of both the Gharanas, and transferred them to his disciples, who, in their own turn, provided a harmonious blending of them in exhibitions. Sundar Piasad entered in the profession of dancing when he was about 20, and since then he gave innumerable performances throughout the country. He was not only a successful dancer, but also a reputed teacher, and taught many pupils, among whom a few are in the forefront. He opened his own school of Kathak dance in Bombay which he called Maharaj Bindadin School of Kathak and used to impart training for about thirty years. From Bombay he went to Madras and from there to Delhi. He was honoured by the Sangeet Natak Akadmi in 1959 with the Award for Kathak Dance for his life-long service in this field and later received its fellowship. He was also the recipient of Padmashri from the Government. Though he became flabby in his middle age, still he could give demonstration with agility and profound skill. He was appointed a teacher at Bharatiya Kala Kendra, New Delhi. He died on 29th may 1970.
fantastic notes ……………… useful for kathak school project works ……………. Thanks for the information . It helped me a lot for my Kathak exam. Thanks for the information. It helped me a lot for my Kathak written exam. Only I had to do was to translate it into Marathi. Nicely compiled and presented systematically. However you have missed out on one of the greatest exponent, a Sangeet Natak Academi Awardee – Late Pandita Dr. Rohini Bhate. Her work in Kathak is so immense that one cant just ignore it. I am not saying this as I am her disciple. But if you spend some time in knowing about her I am sure you will realize that you need to include her name too. Unfortunately, Guru Pt. Mohanrao Kallianpurkar is not included in your list. He was the student of Sundar Prasad and Achchan Maharaj and the Kathak guru in the erstwhile Marris College of Music in Lucknow presently, the Bhatkhand College of Music, Lucknow, where he was the Director and also Dean of the Dance section. He was responsible in preparing a syllabus for a five year university dance course. He was the recipient of the Rashtrapati Award, Fellowship of Sangeet Natak Academy Award and many more. Some of his noted students are Smt. Rohini Bhate, Purnima Pande Padma Sharma amongst many others. I will include information about them soon. Thank you.